“EVERYTHING IS FREE IT ALWAYS WILL BE” but we need your help to keep it that way! 2014 marked our 10th Anniversary providing art worthy materials for creative minds free of charge. The Art Resource Center (ARC) helps any non-profit to facilitate their art needs. The ARC has saved thousands of pounds of waste from going to our landfills by collecting materials. When a teacher calls and says they are a new hire but the classroom is empty we fill the shelves with art supplies. When volunteers from March of Dimes want to do a special project we help with ideas and send them away with supplies. When Head Start needs tactile fabrics and inspiration for young minds we are the ones they come to for help. When a homeless artist walks through the door we give her paints and canvas and brushes. The ARC touches well over 20,000 lives a year and our reach into the community and around the state is growing annually. Please consider supporting the work of the ARC. Your dollars are needed to increase our space, build a gallery for recycled art exhibits and to offer classes to the community and so that we can be self sustaining. If everyone on in our network donated $25 we would reach our 2015 goal and fulfill our dreams. THE ARC is a 501(c) (3) nonprofit your donation is tax deductible. Or go to our website www.artresourcecenter.org and click on the donate button. Make your way to downtown Phoenix tonight where you can support your local community by purchasing a handcrafted gift from one of 130 local venders at the Phoestivus Open-Air Market. Besides shopping you can dine on some of the amazing local food trucks and drink some delicious Phoestivus Ale crafted specially by the Phoenix Ale Brewery. Ask yourself when else would I be able to witness one of the largest Phoestivus Poles? What is that you ask? It is an aluminum pole where you go to air grievances and demonstrate feats of strength. So make your way to downtown tonight and enjoy some Phoenix style holiday entertainment. December 17, 2014 from 4:00 pm to 9:00 pm at 14 E. Pierce Street in Downtown Phoenix. Proceeds from the event will benefit the Phoenix Public Market, a program of Community Food Connections, a 501c3 non-profit organization. Event sponsors include: REALTOR Ken Clark, Community Food Connections, Phoenix Public Market Cafe, Ruby Ride, SRP, Blue Sky Airport Parking, Sunbelt Rentals, Core Crossfit, Phoenix New Times, CenPho.com, Oasis on Grand, CO+HOOTS, Downtown Phoenix Partnership, Bookmans, Local First Arizona, Roosevelt Row, Best in Show Management, and Yelp. Laboratory5 Inc is a local business based out of Tempe, Arizona – we love and support our local community! Shop Local This Holiday Season! This weekend have some fun with the family. Here are a couple of options around the Valley. 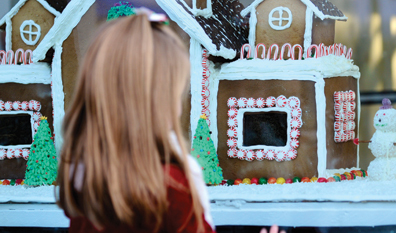 The town of Carefree is hosting its 7th annual Carefree Christmas Festival, from December 12- 14. The festival features 25 tons of real snow for kids to play in, and a light parade with firework finale Saturday night. All events this weekend are FREE so stop by the town of Carefree this weekend. Sunday is pet day, so bring your furry friends to0! For Festival information, call 480-488-2051. Visit the Mesa Arts Festival. Its a FREE event featuring art from hundreds of local, regional, and national artists, there are even some great activities for kids to do. So if you have nothing planned, why not grab the kids and head over to Mesa for some holiday fun. 10 a.m.-5 p.m. Saturday and Sunday, Dec. 13-14. Mesa Arts Center, 1 E. Main St.
December 5th marks the 9th annual Crafeteria at Frances in downtown Phoenix, from 6-10pm. Crafteria has become a local institution in this town. If you want handmade fabulousness this is your one stop shopping destination. Shop great local handmade gifts and enjoy delicious food truck snacks. It’s a great way to support our local craft community. Come meet The Little Spark author Carrie Bloomston tonight at Changing Hands Bookstore. This is a great gift for artists, art lovers, girl friends who get together, self help fans and lovers of all things local! If you order the book now from Changing Hands you’ll receive two free tickets to meet Carrie Bloomston in person at the Changing Hands Bookstore, Phoenix on Tuesday December 2nd, at 7pm (Details below) and get your copy autographed by the author. Local artist and author Carrie Bloomston interviewed a dozen local creatives who are featured in this book! Artists, writers, chefs, photographers, musicians and other creatives. It is a celebration of all things local and it’s available now! TICKET (admits two) is free when you purchase The Little Spark from Changing Hands Bookstore. Letter groups (printed on top of ticket) will be called at 6pm to fill seats and designated standing room. If available, seating and standing room opens to those without tickets at 6:45pm. Space cannot be guaranteed for late arrivals. Booksigning line forms by assigned letter group after the presentation. Those without tickets may get their books signed after ticket-holders, if time allows. Event details may be subject to unannounced changes. Happy Holiday Shopping – Locally! ASU Art Museum Store Holiday Sale! The ASU Art Museum Store Holiday Sale starts Saturday, Nov. 29 at both locations. For the first time ever, this year’s holiday sale is happening at two museum store locations! Get 20% off all regularly priced merchandise — and museum members receive an additional 10% off. Not a member? Become one today. The ASU Art Museum Store features a number of unique handmade items by local artists, ASU alumni and faculty — as well as jewelry and other accessories, works from nationally and internationally known artists, imaginative stationary and unusual stocking stuffers. The ASU Art Museum Store at the Brickyard carries a large selection of ceramics available for purchase from nationally recognized potters (including ASU ceramic faculty). We’re excited to introduce new ceramic works by artists including Sunshine Cobb, Andrew Gilliatt, Meredith Host, Tom Jaszczak, Tammy Marinuzzi and Luba Sharapan. Find earthenware bowls and mugs with a pop of color, wheel-thrown porcelain plates with colorful patterns, soda-fired vases and more. When you shop at the museum stores, you’re supporting museum programs — and shopping local! According to Local First Arizona, of which the museum is a member, when shoppers choose to spend their money locally, 73 percent remains in the local economy, compared to just 43 percent from non-local stores. For more information about the ASU Art Museum stores, call 480.965.9076. Image at top: Courtesy of the ASU Art Museum Store; photo by Tim Trumble. Images above, L to R: Roost handmade ornaments, $6 – $10 ea. | Dear Hancock holiday cards, $14 for a set of six. | Asian Eye handmade scarves, prices vary. 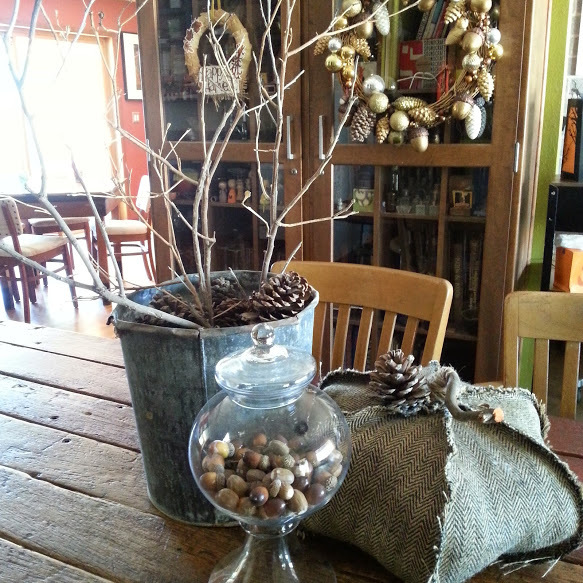 | Roost handmade ornaments, $6 – $10 ea. | Hand-marbled silk scarves by artist Sharon Gellerman, $56 ea. All available at the ASU Art Musuem Store at Mill & 10th Street, while supplies last. Every dollar contributed to the ASU Art Museum by June 30, 2016 will be matched dollar-for-dollar by the Windgate Charitable Foundation. Matched portions will support the ASU Art Museum International Artist Residency Program at Combine Studios. Admission to all museum exhibitions is free. open Tuesday 11 a.m. – 5 p.m.
Wednesday – Saturday 11 a.m. – 5 p.m.
Closed Sundays, Mondays and holidays. Support for the ASU Art Museum’s Fall 2014 season has been generously provided by Rea Bennett, Eric Jungermann, Jeffrey Spahn, Paul Bontekoe and The Steele Foundation. Copyright © 2014 ASU Art Museum, All rights reserved. Also, support Arizona’s Local Advocacy Organization – Local First Arizona. It’s the holiday season! We love table decor over here. Get creative with your Thanksgiving tablescape this year. Find objects that inspire you and build your decor around it. Think Nature! Get outside on a nature walk and pick up pine cones, nuts, seeds, grasses, leaves and branches – they are everywhere this time of year and it’s a great way to bring fall inside for your Thanksgiving dinner or for the next big event you are hosting.